The Arizona Education Network Executive team was recently highlighted on a local Tucson, AZ station. KVOA -4TUCSON - Fed up with school cut backs, bigger class sizes and what they call a "crises," a group of parent activists has formed the Arizona Education Network. These parents say Arizona can't give up on its schools. "This isn't a sacrifice, this is an investment," Vice President of the Arizona Education Network Jenifer Darland said. In part, it is a watchdog group for busy parents. "We watch very carefully, we stay up into the wee hours into the night following what the legislature's doing and we let you know so you know how to protect your children," Arizona Education Network Board President Ann-Eve Pedersen said. They post all that information on their website. Parents can follow their legislators and see how they voted on recent education issues. "They're going to be looking at the legislators' records as it pertains to education. Those that aren't supportive of education probably have something to worry about," Arizona Education Network Cofounder MaryLee Moulton said. These parents say funding public schools will make Arizona a more attractive place to live and work, which could boost our economy. "If you vote for education and you vote to invest in education, you're voting to increase your economic base. You're voting to keep people here in our state because they can send their kids, they can trust that their sending their kids to quality funded education," Darland said. They also say now is the time to get involved. "This is a moment, kind of a tipping point moment for Arizona, and education is important not only to the future of their children but to the future of our state," Moulton said. 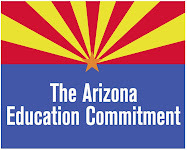 For more information on the Arizona Education Network, visit their website at: arizonaeducationnetwork.com.